I have pale skin and although I might not be quite as pale as Snow white ( Although I am pretty close!) Most drugstore makeup brands insist on not developing a wide enough shade range to cater for us Snow whites out there! You pick up their porcelain or ivory, thinking that it should be okay, shouldn't it? I mean it is the lightest shade, it will match, right? After forking out on it, you get it home and realise that it literally looks like you have rolled around in a bag of wotsits and basically that foundation is never going to see the light of day again!!! So to minimise the number of times this happens for you guys, I thought I would share with you some of my foundation matching tips and pale people base product recommendations, that have all been tried and tested by yours truly! #1 ARE YOU COOL OR WARM TONED? It's really not a big deal whichever one you are, however, in regards to foundation matching, it can make a world of difference. If you have blue veins you are likely to be cool toned and if they seem more greenish, then you are are warm toned! This is really handy to know when you are shopping for a new foundation and they have a system which is based upon this, such as the Loreal True Match. If you are pale, you are more likely to have cool undertones and vice versa for warm undertones. Boots and Superdrug are very sneaky and the lighting within the shop is artificial, to make the shop brighter and more welcoming, which is all lovely and nice until it comes to buying foundations. Applying it to the back of your hand will just blend into your natural skin colour. Instead. apply it to your neck and either take a buddy or if you are always alone and have no friends, take a mirror and walk outside to see what it looks like on! When buying anything high-end but especially base products, ask if you could have a tester first. Don't let them match you up because they will 90% of the time match you with the lightest shade even though that might not be your real match! It makes me want to cry thinking about all the money wasted on high-end foundations that people don't use because they are the wrong shade! This can be hard because so many foundations have such amazing claims but unfortunately if you can't use it because it doesn't match your skin then what's the point in buying it in the first place! I tend to go with foundations where their USP is match or skin protection because you known they have probably taken more time over making sure that there is a match for most skin tones than just the basic bog standard three shades. This will, therefore, hopefully, increase your chances of finding something that actually matches! I hope all you pale people out there found this somewhat useful and maybe maFE the task of going foundation shopping a little less excruciating! If you have any other tips or recommendations of products to suit pale skin, do me and others know in the comments below, I am sure it would be very helpful! Brilliant hints and tips I love that Rimmel foundation! Loved this post! I love the L'oreal true match foundation, I have a warm undertone to my skin and I'm not usually that pale, but I'm anaemic and have been ill for ages so I am very pale now! I love that they have the warm, cool and neutral version of each shade! I also like the Bourjois healthy mix serum, but it's only good for those of us with warm toned skin and the palest shade isn't as pale as the one L'oreal has! Great tips! I use a Natio pale one and a Body Shop one. another tip is to mix a dark and light one to suit your skintone! I tired doing that once with a seventeen one and my rimmel, it was a disaster! I have such pale skin, a but of a snow white myself, I must admit! and it's so difficult to find anything that isn't orange on me! For example I got a foundation the other day, was really excited to put it on at home, and wow! Sun tanned x100 in less than a minute! I will try your picks next time in in one of these shops! Great tips! I love the rimmel powder and rimmel bb cream. I have yet to venture into wearing foundations but I'll definitely take these tips into consideration if I pick one up! i have to have testers if i am buying a high end product, can't waste the money! These are some great tips! I love the L'Oreal True Match foundation and the Rimmel Match Perfection- definitely great for us pale gals and guys! I am a snow white also! I have the same problem trying to find a shade of foundation that suits my ghostly complexion and I don't want to spend a lot on it. 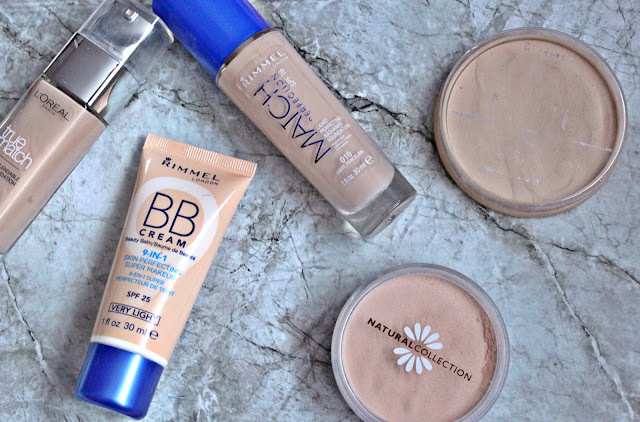 I haven't tried the Rimmel BB Cream but I must give it a go! 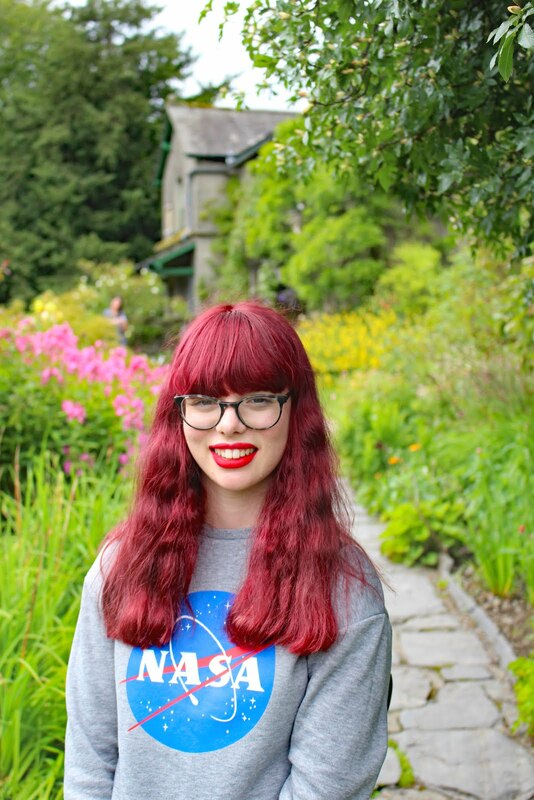 My skin can be hard to match I think because I am pale, warm toned and get a lot of redness in my cheeks. Kind of a weird mix. So really I want a kind of neutral base that's a bit lighter than my skin colour (closer to my neck colour), but SO often I've been matched with something much darker and warmer. Sometimes I think it's the makeup salesperson's personal preference to be more tanned that gets me in that situation. I have no problem being pale. In fact, I'd prefer a lighter foundation and then to add colour! Life is hard haha. oh dear Aisling, you sound like you have it worse than me, life is hard!